If you are a professional driver, you understand that you have a highly sought after skill. Driving a tractor trailer weighing 80,000 lbs is arguably one of the most difficult and skilled jobs in the U.S. today. The trucking industry is facing a major driver shortage and your profession is becoming more valuable by the day. Carriers are working hard to attract and retain high quality drivers like yourself. Shippers are scrambling to find more capacity. Driver pay is now at an all time high and is expected to climb higher and higher over the next several years. There has never been a better time, from an opportunity standpoint, to establish a career as a professional driver. However, with increased regulation, it is important to understand there are risks to profitability. How do you maximize your livelihood as a professional driver for the long term? Driving safely is the key to keep your wheels turning and the paycheck flowing. However, regardless of how safe you try to be, you can’t control everyone else on the road. If you have been driving for any length of time, you have encountered DOT while on the road. Your CDL is your livelihood and a few tickets could put you on the sidelines. Not being able to drive, regardless of the reason, could be devastating to your career. Being legally proactive ensures you have the right team in place in case bad things happen. What happens when you get a ticket? If you’re a driver that lives in Kansas and receive a violation in California, who do you call? Sure, you can Google an attorney, but what you pay and the quality of your defense are the unknowns. Attorneys understand that out of state drivers have to fight tickets and will charge high fees – from $800 to $1500 and more. The answer is simple; hire a prepaid legal service specific to professional drivers and rest assured that you are protected. 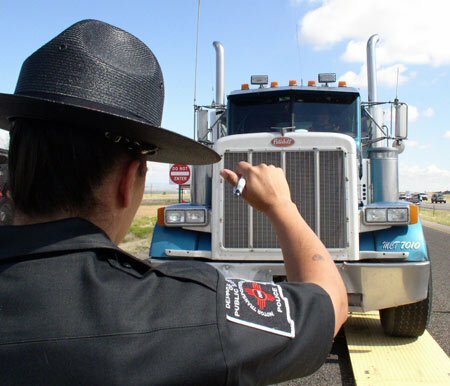 Why should every driver have a CDL legal service? As a driver, the demand for your services and skills will only increase. As demand increases, so will your ability to increase your earning potential. Proactively protecting yourself legally is a smart investment in your career and your future. Trucking is the backbone of our economy and CDL Legal is here to protect it. Increased regulation has made it more difficult for drivers and carriers. We are focused on keeping drivers on the road by giving drivers and carriers a proactive legal solution that protects their livelihood. Our network of local attorneys have a 92% success rate in getting tickets reduced or dismissed! Give us a call at 913-738-4836 or email us at protect@cdllegal.com to learn more.